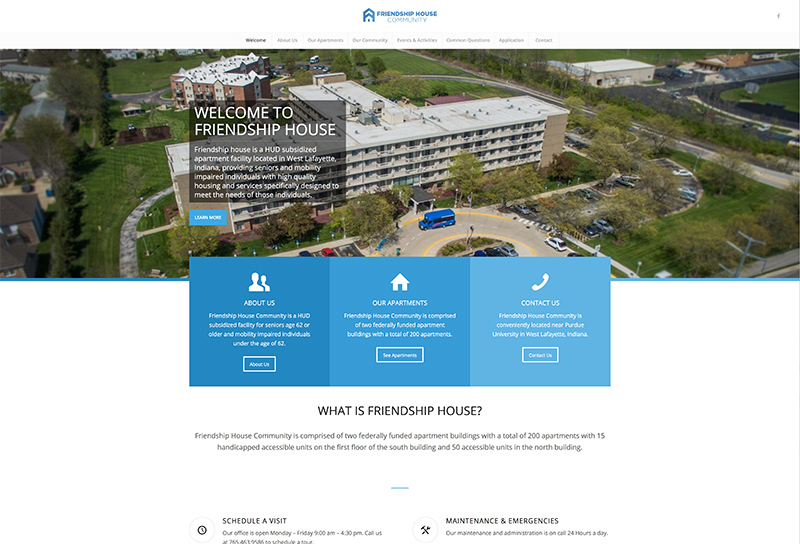 Friendship House Community is a HUD subsidized retirement village located in West Lafayette. needing a presence on the web to promote their mission, provide documents, contact info and other information to current and potential residents. This new site helped bring them current with every potential for future expansion. CRAWFORDSVILLE ELECTRIC POWER & LIGHT Collier Gobel Homann, LLC.